A TENDER to start construction on the new Fraser Coast aviation precinct will be awarded by the council on Monday. The Chronicle can exclusively reveal a special meeting has been organised at the Hervey Bay council chambers next week, where councillors are expected to vote on awarding the tender. 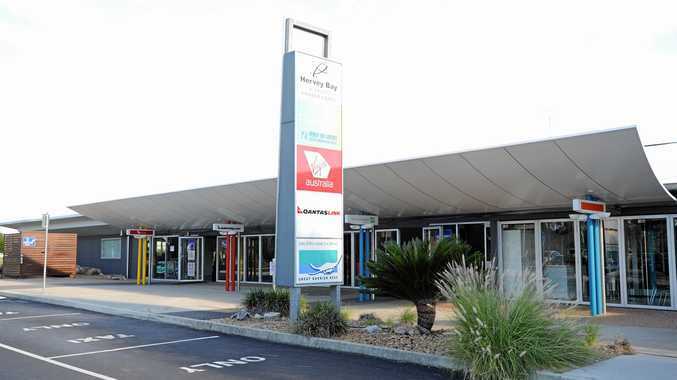 It follows $9.1million for the project being delivered by the Federal Government, which includes a two-stage redevelopment of the Hervey Bay Airport and a new subdivision for the aviation precinct. Depending on the vote, it could mark the start of official works on the airport site, which includes the development of a high-tech plane factory. First announced by Astro Aero in November last year, the $12-million project alone will create up to 200 jobs and produce about 25 planes a year. Acting mayor Darren Everard said the establishment of aeronautical manufacturing would boost the region's economic and manufacturing base by bringing additional high-tech industries to the region. "We are working with Astro Aero as the foundation investment at the Avion Aviation Industry precinct, which will be a catalyst for even more new, innovative, job-creating advanced manufacturing businesses in the region," Cr Everard said. "Preliminary work has already been under way at the 12-hectare site adjacent to the Hervey Bay Airport, and this new tender is for a range of civil works, including storm water drainage, kerb and channelling, sewer and water supply, road surfacing and bulk earthworks. "These works will start this month and be completed by the end of June." It is not known which company was awarded the tender or how much it is worth.